John Bunyan (1628-88) lived and wrote through some of the most turbulent years of political, social, and religious change in British history from civil war, through Commonwealth and Protectorate to the Restoration. Imprisoned for unlicensed preaching as a Nonconformist, Bunyan turned to writing to sustain his pastoral mission and composed some of the best-known, and most critically acclaimed, seventeenth-century texts, from his intensely moving spiritual autobiography, Grace bounding to the Chief of Sinners, to the world famous allegory The Pilgrim's Progress. Bunyan’s style fused vivid depiction of the everyday world of ordinary men and women with powerful narratives to dramatise his religious convictions. 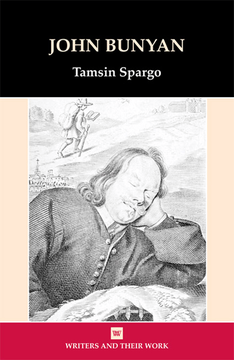 This accessible study of his life, times, and writing introduces all his key works within the contexts of their original moment and later international impact and argues that Bunyan is a writer whose work continues to reward readers of all ages, beliefs, and nationalities. For anyone venturing into the very different world in which Bunyan is situated today, this powerful little book offers an invaluable map with which to navigate its contours and to find further routes to explore, in ways that even a pioneer as far-sighted as Henri Talon may never have been able to imagine sixty years ago.